The Dodgers did it again, and by it I mean absolutely nothing. Well I wouldn’t call losing their sixth consecutive game to one of the worst teams in baseball nothing. It takes hard work and terrible planning to lose like this to the Reds. But the Dodgers have done it. The Dodgers dropped the second game of the three game series in Cincinnati 3-1 as their playoff hopes continue to dwindle. Boy the Reds could be pretty good if they had any kind of decent pitching. Except when they face the Dodgers of course, because anybody they run out there against the Dodgers instantly looks like a Cy Young contender. Cincy starter Luis Castillo limited the Dodgers to just one earned run on four hits over 6.1 innings of work. Castillo walked only one and struck out nine. Meanwhile Hyun-jin Ryu gave up two home runs, and three earned runs on eight hits over five lackluster frames. The Dodgers had just five hits in the game. Their lone run came on a Joc Pederson solo home run in the top of the sixth. The Dodgers had a look at the game in the seventh inning when they loaded the bases, but Justin Turner weakly grounded out against David Hernandez to end any chance of scoring for the Dodgers. On the other side, the Cincy bats had ten hits. Former Dodgers Scott Schebler and Brandon Dixon both homered as the Reds put up single runs in the second, third and fifth frames. Scooter Gennett, who has been a thorn in the Dodger’s side, collected two more hits. Now the Dodgers must win tomorrow in order to not only stave off an embarrassing sweep, but avoid finishing 0-7 against the lowly Reds. To make matters worse they are likely to drop another game in the NL West and wild card standings. That makes their odds of reaching the postseason this year even more unlikely. On the Brightside, we’ll all be free this October to go out with friends, have dinner, catch up on work and not have to worry about missing any Dodgers playoff baseball. That’s because there won’t be any in 2018. The Dodgers look to get swept and lose every game to the Reds on Wednesday in the series finale. The team will wrap up the series early with a 9:35 AM PST start time. Once they lose, they’ll immediately fly to St. Louis to finish the last leg of the road trip, which is a four game series against the Cardinals. That’s the team they are chasing in the wild card race. Take steed Dodger fam, this miserable frustrating season is almost over. Dodger offense M.I.A. 7 KO’s in first 3 innings, 9 overall by Castillo, in 6.1 innings. Also had 2 on and 1 out in the 1st, came up empty… they start out 0-2 RISP. Then bases loaded in 7th, Dodgers come up empty again… with JT coming in cold off the bench to PH. Why did JT need rest? He’s their hottest hitter. He should have started. Dodgers finish with 11 KO’s, 0-4 RISP, 12 LOB. 20 KO’s the last two games. 0-6 vs. the last place Reds. Not good. Back to scoreboard watching, as Dodgers cannot take care of their own business. The Reds front office should just put us out of our misery by hiring all those scouts that the FBZ fires a couple of years ago. Pitiful. There is no other word that describes the last 2 efforts by the Dodgers. They roll into Cincy on a high after taking 2 of 3 from the Rocks and lay a huge egg. Thanks in no small part to the constant lineup tinkering and shuffling pitchers out of their normal routine. Jansen is back in the pen, but they have not needed him in 2 games they never really were in. They look about as enthusiastic as a bunch of Lemmings heading for that big cliff to leap off of. They load the bases and cannot score again. Other than Joc’s solo shot, you expected maybe a 2 run job? They were held in check. Muncy struck out 3 times and had a gift single. Taylor was unproductive again, and the 2 best clutch hitters on the team, Kemp and Turner were on the bench. Turner came off the bench to hit with the sacks juiced and could not deliver the big hit. Speaking of delivering the big hit, when is the big gun they got before the deadline, Machado, going to deliver a game winning or game changing hit? So far he has not had a flair for the dramatic in a Dodger uni. He chimes in when the entire offense is clicking, but I have yet to see him deliver when the game is on the line. If I am wrong, someone please correct me. Bellinger looks overmatched against guys with ERA’s north of 5. It is getting pretty tiring watching the kid flail away at pitches he could not hit with a railroad tie. Grandal’s double was wasted. Ryu did not pitch bad, but he did not pitch great either. Just another wasted day on the baseball calendar…..only good news was that Arizona and Zack Greinke, remember him? Beat the Rockies. So they did not lose any ground, but they NEED a win tomorrow. No ifs ands or buts. Because I will guarantee you the series in St loo, is not going to be a cake walk…then they come home and face the Rockies, and they had better be ready to sweep them because it is looking like that is what is going to be needed just to stay in the race. You have to wonder how much better they would play if they just ran the same 8 out there every night. Won’t happen because Roberts and FAZ are idiots, but we can dream. Scott, I told you the same thing in April. Blue…..a lot of us said the same thing when every other team in their division, even the Padres added a major talent. The Dodgers big addition, Tom Koehler and boy hasn’t that worked out well. Of course they traded for Kemp, but that was a salary dump and he was not even supposed to be here. I still think they made a HUGE mistake not re-signing Morrow. He was a huge part of the success of last season. Most of the players they let walk were not really that big of a deal. 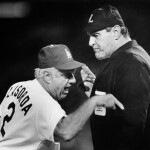 I might have kept Andre as a leader and bench guy, but giving Forsythe a deal, and signing Utley for 2 years, well that was redundant, and in Forsythe’s case, a really bad call. Chase up until he was injured was their best pinch hitter. Now with Kershaw having the ability to walk, and they no doubt will whiff on re-signing Machado, there will be some major changes this winter. No way they can stand pat again. And how long before father time finally catches up with Hill. They will have a lot of kids on the roster next year. Hopefully Grandal will be somewhere far away, like Miami. When they continue to keep these same players that stop hitting at months at a time with a little pop, and they can’t hit even 250 for a season, after many years, they are not going to have an offense that is consistent! They have made bad decisions since spring training, that has come back to bite them. The Reds don’t have four players in their line up, that are hitting 245 and below, like the Dodgers do. Those type of hitters, are not only not going to hit consistently, they will rarely get a hit when runners are in scoring position. They actually have players on their bench, that excell in these situations, but they don’t look at the right numbers, or deep enough at the numbers. And they have way to many platoon players on their line up too! Why does a team like the Dodgers, have to settle for players that can’t hit both lefties, and righties? Well, Roberts at least did not go with his all righty line up against the Reds lefty. 3 lefty’s in the lineup. 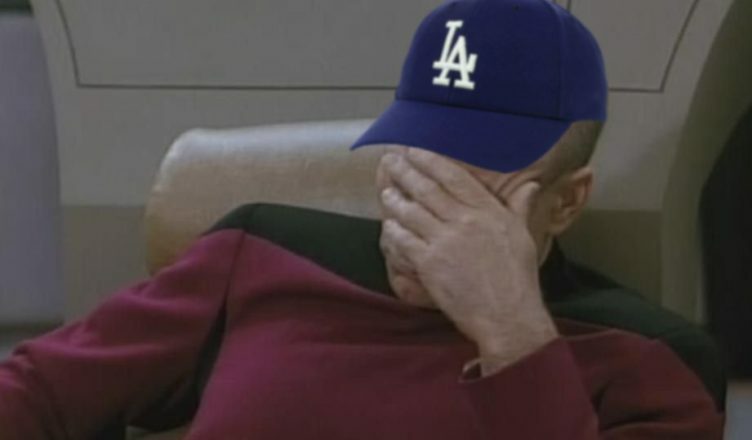 But Kemp is on the bench and Puig is playing. weird. Well, FO juggles the lineup every day, they might as well juggle the starting rotation too. Pitchers try to get into a groove, and routine. Kershaw was high on this philosophy. Even DR would not like to upset Kershaw’s routine. Now, FO has already moved Kershaw so he could open the Cards series. Now they are moving Wood, after his poor start and squeeze in Stripling. I guess this is a result of one, starting pitching has been erratic, of late. And two, having too many “so-called” Starting Pitchers. Like “Who’s on First?”, now they have, “Who’s on the Bump?” What is the Starting Rotation now? I don’t know anymore. Maybe possibly two legit quality starters in Kershaw and Buehler? Maeda wasted in the BP? All the others are “iffy” starting pitchers, at best. Can’t wait for season to end. These guys are killing me.